Two of the most important rooms in the home and the two rooms that can end up adding the most value to your home when it comes time to sell are the kitchen and the bathroom. Before you put your house on the market, there is a checklist many of us have as we go through the process to ensure we are getting the most we can get for the home when it comes to the sale price. If it has been a while since the bathroom and kitchen have been remodeled or updated, then you may want to consider doing so prior to listing your home for sale. Home improvements can boost the value of your home and allow you to earn up to 60% payback on the investment when the house is sold. Kitchens have been found to yield the highest return and even the most minor kitchen remodel can help boost your home’s value a significant amount. 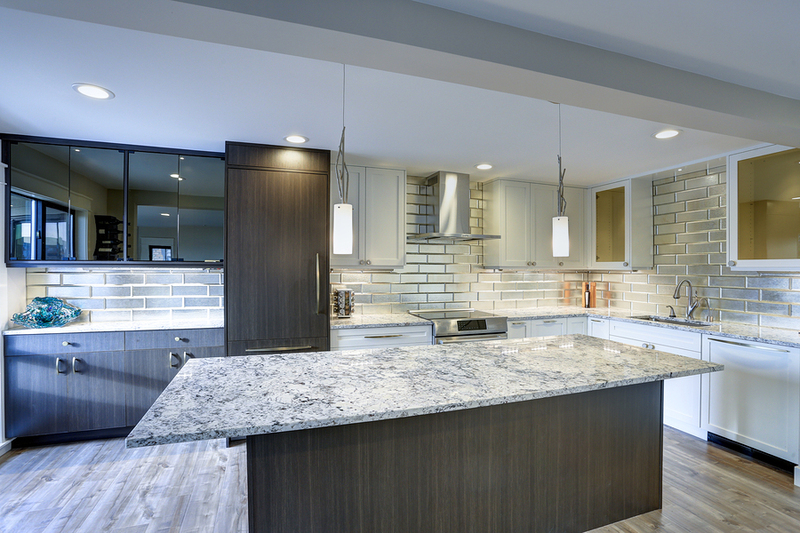 When remodeling the kitchen for resale, you need to make your home an attractive option for potential buyers, and this can mean leaving your own style and design choices behind. Choose materials for the kitchen that appeal to the general public. Stainless steel appliances, for example, are a good choice. You will also want to keep the color and style neutral and simple. Neutral countertops, floors, and cabinets are the best choice. With simplicity in mind, you will want to make sure to get high-quality items and materials for your kitchen remodel, however, you do not want to go to the extreme and spend more money than you have to when it comes to updating and refreshing the space. To boost your home’s value, you want to stay below a certain amount. Never go over what the value of the home will support. Typically, you should spend only up to ten percent of the total value of the home in order to see a fair return. All the same rules for resale apply for the bathrooms as well. You want to update and allow it to feel high end and luxurious, but you want to skip out on that higher price tag and maintain a reasonable budget. Focus on the visual appeal of the space when it comes to remodeling for resale. The colors, tile, fixtures, and floors are a nice place to start. For more ideas on how you can boost your resale value, contact us at Kitchen and Baths by Cardigan for more design ideas and inspiration.